Onalaska, WI -- Ralph William Wilcox, of Onalaska, WI, passed away peacefully on Thursday, March 7, 2019, just shy of his 93rd birthday. Ralph was born in Janesville, WI, on March 23, 1926, to William and Cordelia (Boucher) Wilcox. He married Lucille Koehl on September 6, 1947, in Janesville. In addition to their five children, they also welcomed Marilyn (Koehl) Thompson into their home. In 1957, Ralph became an insurance agent for Metropolitan Life in Monroe, WI. He earned his CLU designation. Ralph retired from MetLife in 1982, after relocating to La Crosse, WI, and serving as a district manager. He then worked part-time for the Insurance Center in Onalaska as a consultant and as a computer technician, until re-retiring in 2004. Ralph's real love was being a Jazz musician. He played clarinet and saxophone. He performed for many years with the Al Townsend's Wonderful World Jazz Band, the Mississippi Mud Cats and other local jazz groups. Ralph occasionally sang lead vocals, and often got requests from his grandchildren and fans to sing their favorite "Ain't Gonna Give You None of My Jelly Roll" song. Ralph was also known for his sense of humor. He was quick with puns and could deliver one-liners with a straight face. He and Lucille enjoyed traveling together, and for many years would spend their winters in Lake Havasu, AZ. He is survived by his wife of 71 years, Lucille (Koehl); five children: David (Carol) Wilcox, Linda (Thomas) Arlt, Richard "RJ" (Sandi) Wilcox, Patricia (Robert) Krarup, and Nancy (Corey) Ramquist; grandchildren: Michael (Julia) Wilcox, Rebecca (Daniel) Davenport, Nicholas (Mary) Arlt, Russell (Julie) Wilcox, Allison (Jason) Suchon, Lee (Katie) Krarup, Lane Krarup and Angel Perez, Roxanne (Luke) Dowske, and Jacqueline Ramquist; and eight great-grandchildren: Andrew, Jordan, Jaden, Jack, Victoria, Samantha, Zoey, and Jewel. Ralph was preceded in death by his parents, brother Roy, and sisters Mildred Wilkins and Grace Broderick, and Marilyn Thompson. 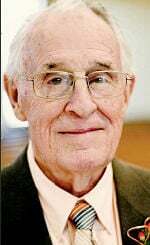 A visitation for Ralph will be held at 9:30 a.m. on Tuesday, March 19, at St. Patrick's Parish, 1031 Main Street, Onalaska, followed by Mass of Christian Burial at 11 a.m. In lieu of flowers, Ralph's family asks that donations be made to St. Patrick's Parish or the Alzheimer's Association. Coulee Region Cremation Group has been entrusted with arrangements. Online condolences may be left at www.couleecremation.com. The family would like to thank the Memory Care Unit at Eagle Crest North for all the compassionate and loving care during Ralph's last year.